I think it's official. I have an obsession with dresses. 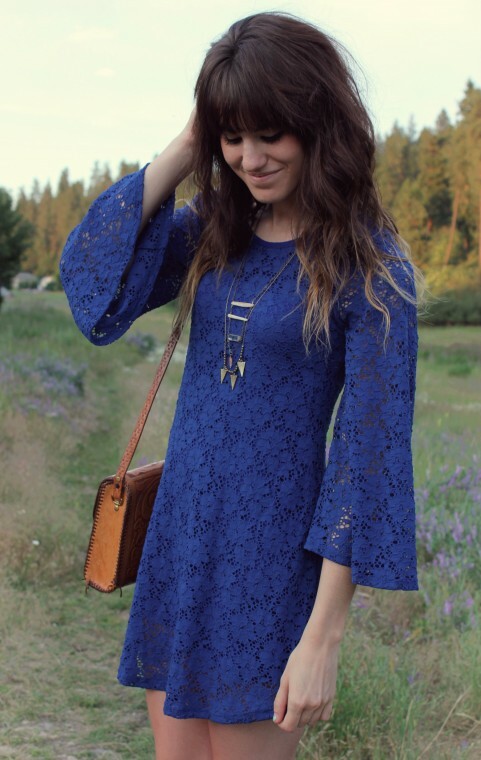 Especially when they are equipped with beautiful, bell sleeves, lace, and are reminiscent of the 70s....like this wonderful dress from Lulus.com! In some ways, I kind of feel like Stevie Nicks when I wear this ;) And my Boyfriend loves it on me too..perfect! 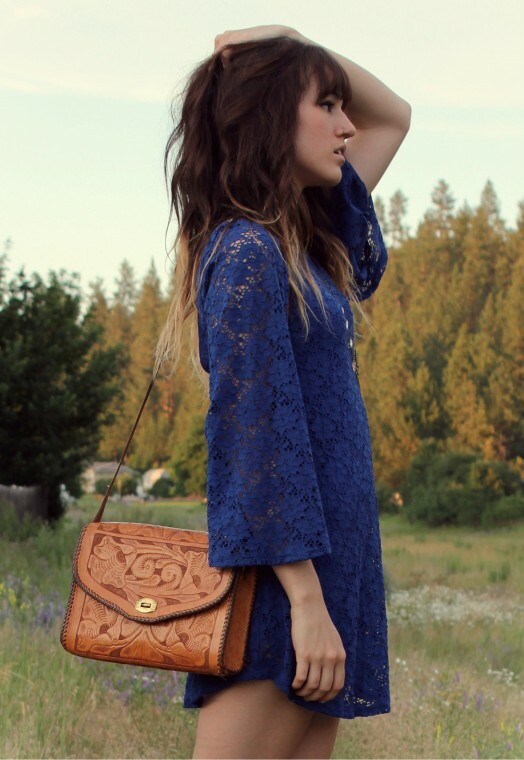 I thought my newly thrifted vintage bag would be perfect with this dress as well. AND I'M SO EXCITED TO ANNOUNCE, TOMORROW I'M GOING TO SEE RINGO STARR IN CONCERT!!! For those of you who have been reading my blog for awhile I'm sure understand my obsession and love for The Beatles (hence the name, 'The Moptop') and Ringo Starr was the drummer for The Beatles. beautiful dress, i love it. 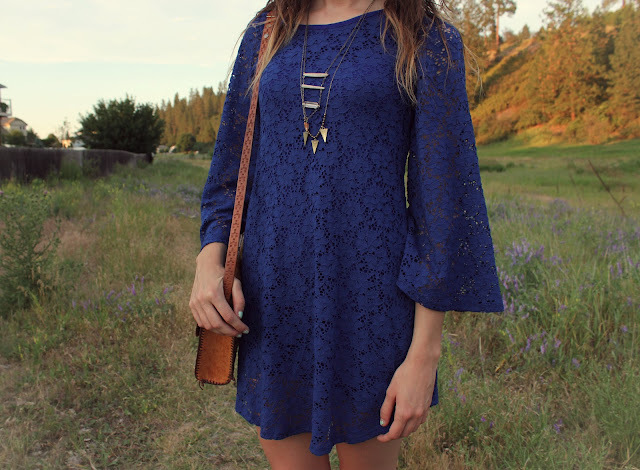 oh my gosh i LOVE this dress, the cobalt blue colour is simply amazing and you look fab in it. Such a good dress for day or night wear. love it. What a cute dress!! I've been searching for something similar all summer but in white. Have a blast at the concert!! 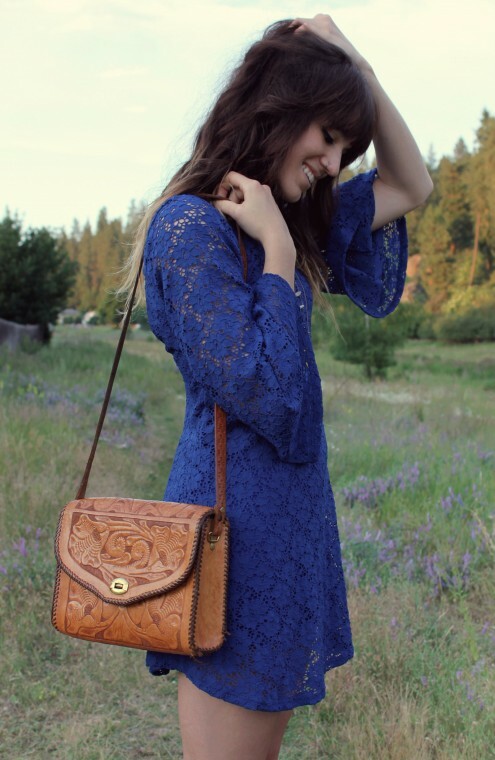 Love your style, you're a total boho queen. Argh this dress is amazing, I love that 70s feel with the long, flared sleeves but it still looks nice and modern. The colour is so striking. hey !love the outfit, brown and blue, you rock! Another beautiful outfit. You give me style envy! That dress is utterly incredible! Awesome, please give us a review on Ringo! Woaw! Stunning, I want this dress! I love this dress! The arms are super cute and I love that it's nice and short. You look amazing! Love that dress. So lovely. Gah. I'm seriously considering buying that dress because it is AMAZING. gorgeous. I love this on you. I love this outfit! Anything that makes you feel/look like Stevie Nicks is a winner.